Closeouts. Greet crisp days in Neon Buddha’s Westport jacket, fashioned from preshrunk stretch-cotton jersey for a soft feel and a comfortable fit. 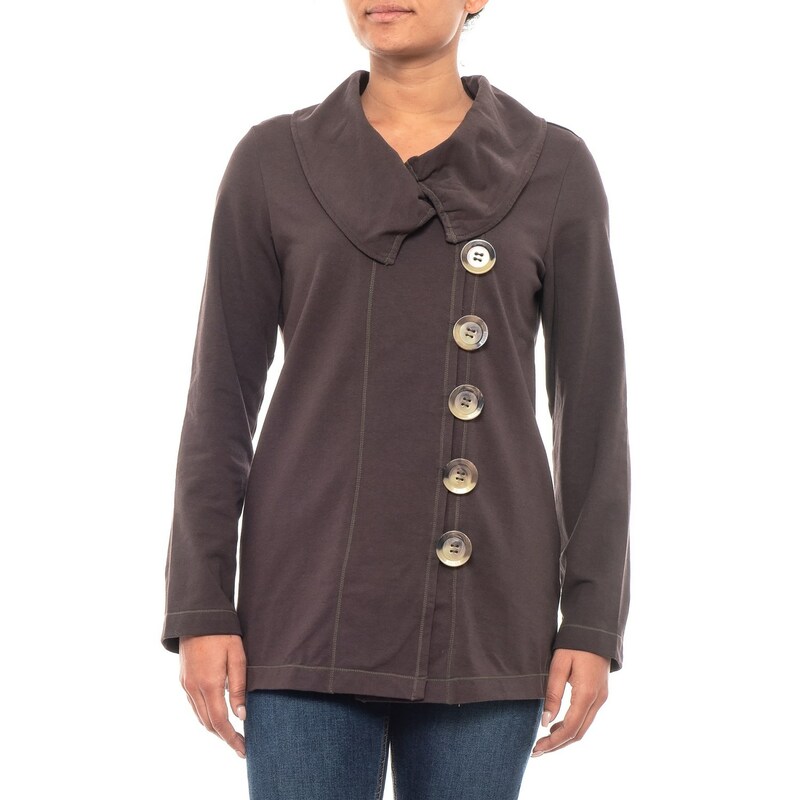 This charming jacket boasts an oversized collar and buttons for unique and beguiling appeal.